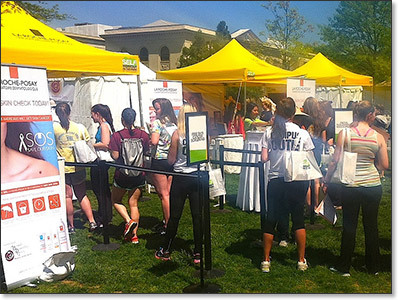 Photos from the Saturday, April 27, 2013 event. 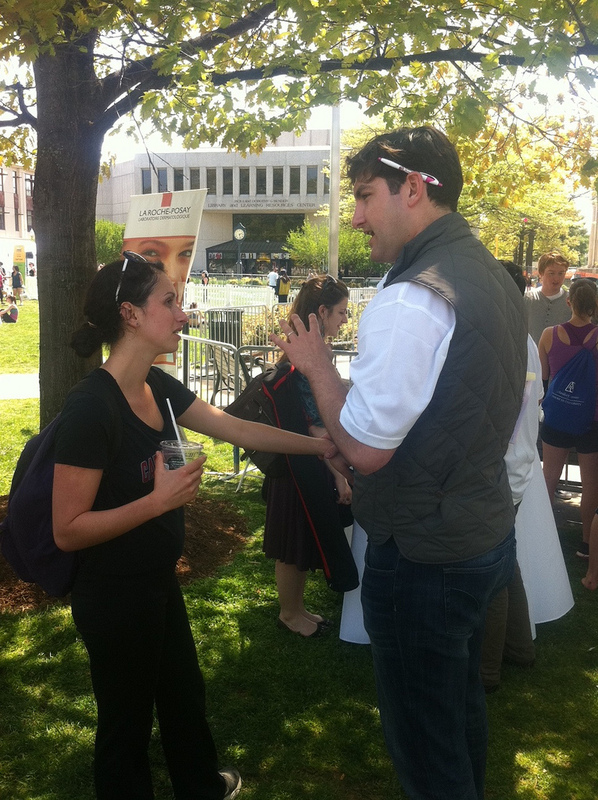 WDS Members Reach Out to American University Students at the SELF Workout in the Quad on April 27, 2013. 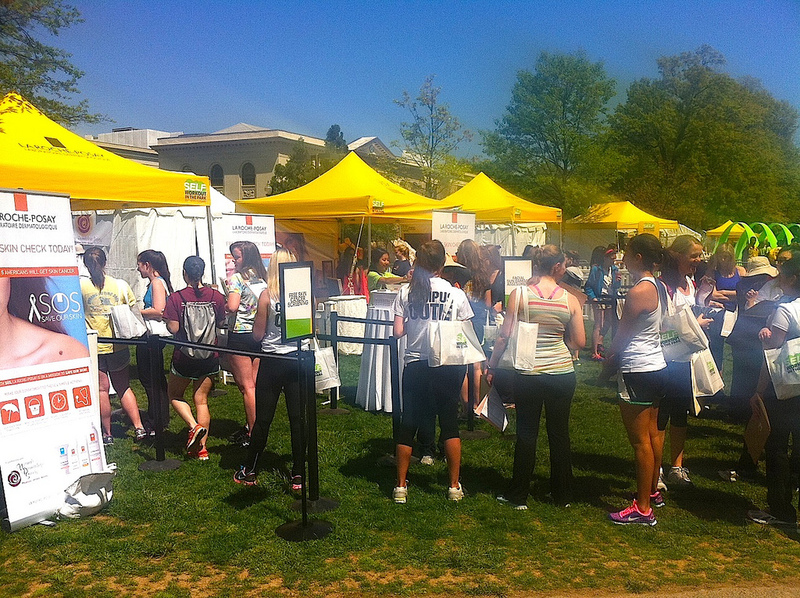 A fantastic team of DC-area volunteers representing the Women's Dermatologic Society conducted skin cancer screenings, sun damage assessments and sun safety education at the SELF Workout in the Quad at American University on April 27, co-chaired by WDS members Valerie Callender, MD (President-elect 2013-2014) and Lynn McKinley-Grant, MD. 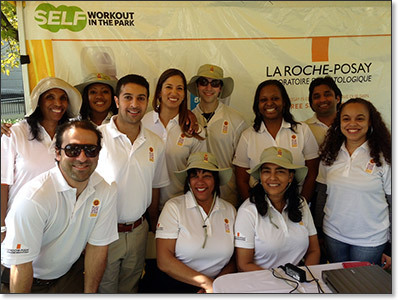 Thank you to all of the amazing volunteers who contributed to the success of this outreach and to our sponsor, La Roche-Posay. 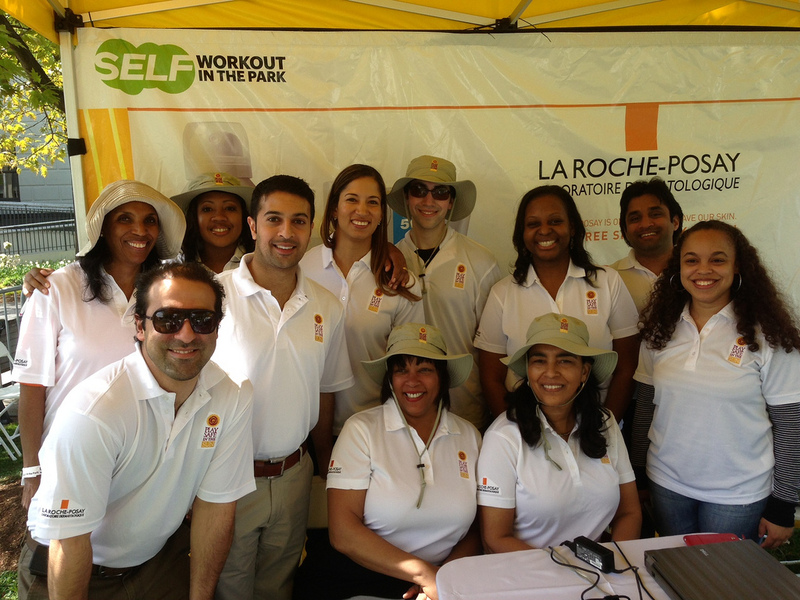 Special thanks to the following volunteers: Drs. 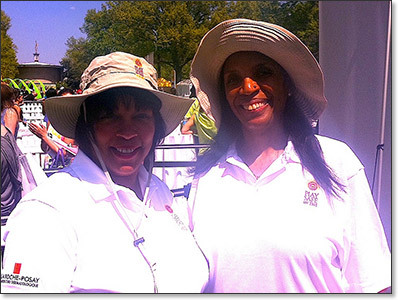 Valerie Callender and Lynn McKinley-Grant, co-chairs; Drs. 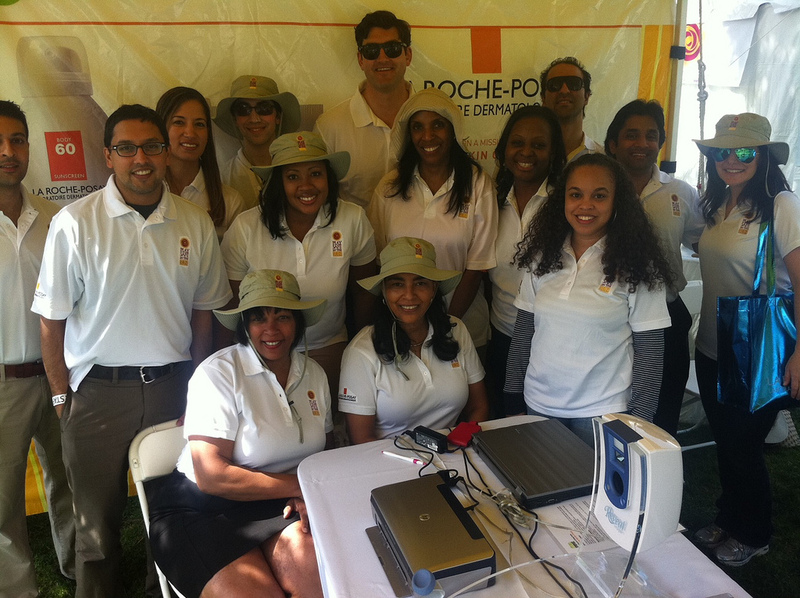 Diane Ford, Terrence Keaney, Saurabh Singh and Chesahna Kindred-Weaver; Yasamine Currie, PA-C; medical student DiAnne Davis; dermatology residents Erin Adams, Caitlin Fink, Aanand Geria, Renato Gereshi, Jasmine Hollinger, Sailesh Konda, Christina Lawson, Reza Madani, Mwatsveruka Munhutu, Annyce Treherne, and La Roche-Posay representatives Jodie Herbert and Amanda Heshler. 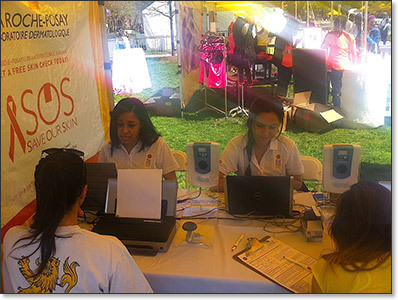 Hundreds of young women queued up to get a free skin cancer screening offered by the WDS team of dermatologists, along with a sun damage assessment provided by dermatology residents. 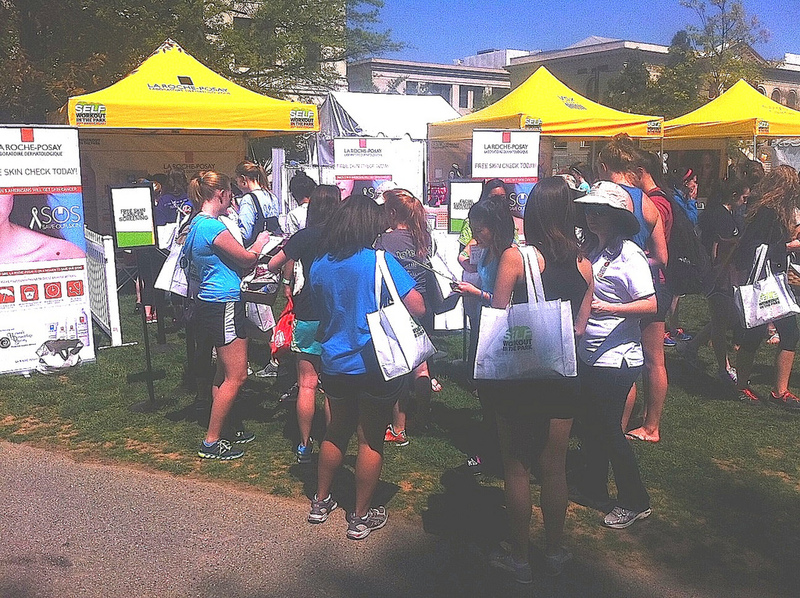 Many of the college students were first-timers for skin checks and truly appreciated this service! Thank you to all of the enthusiastic and very helpful Howard University residents, who surround mentor Valerie Callender, MD (seated left) next to her event co-chair Lynn McKinley-Grant. Dr. Diane Ford shown on far left in the back. Big thanks to residents (from left): Reza Madani, Aanand Geria, Annyce Treherne, Renato Gereshi, Mwatsveruka Munhutu, Sailesh Konda and Jasmine Hollinger. Together you reached and helped SO many! 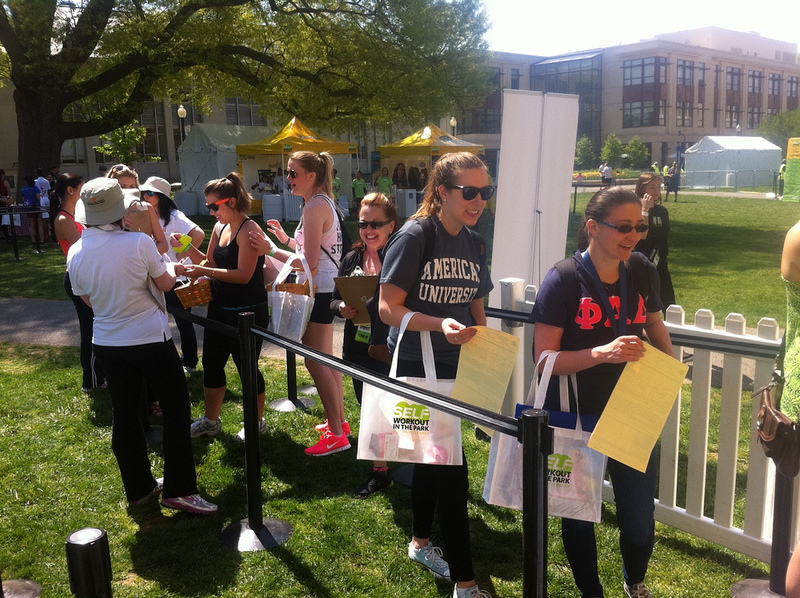 Before and after lively workouts, the American University students were so happy that they could get their skin checked by the WDS expert team! 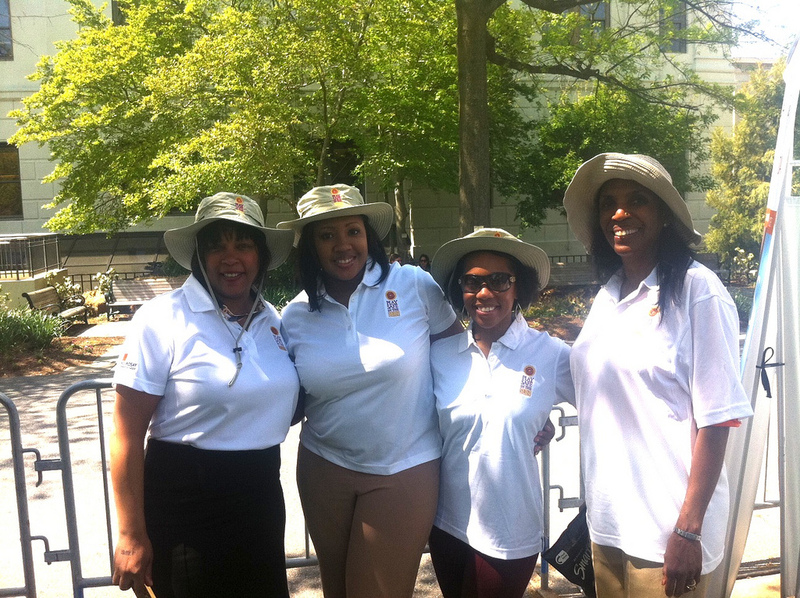 A big round of thanks to the entire Team DC for the terrific day of outreach, led by Dr. Valerie Callender and Dr. Lynn McKinley-Grant. 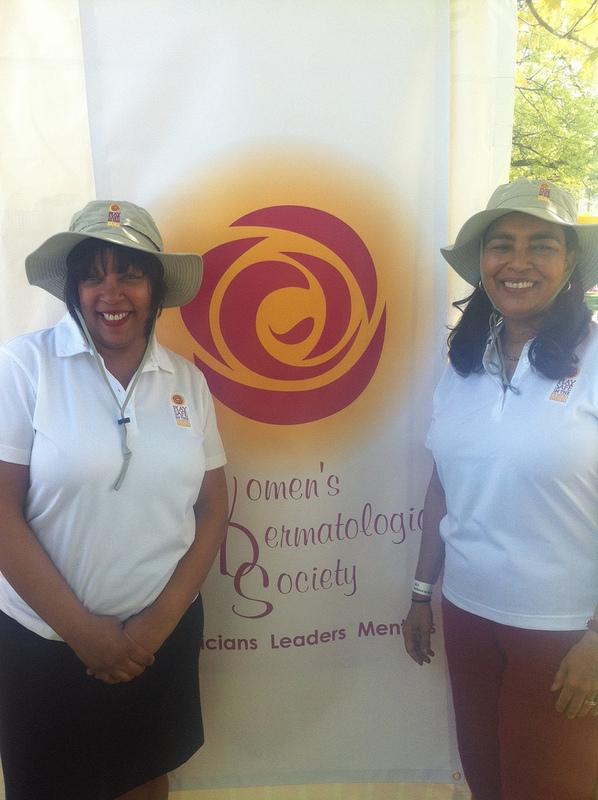 132 free skin checks were provided by the volunteering dermatologists! 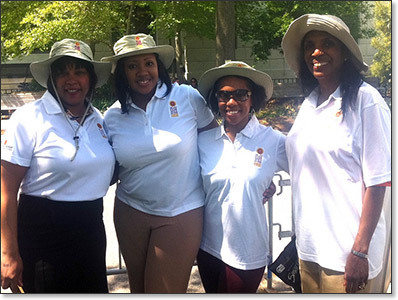 A rewarding day of outreach was enjoyed by this dedicated team, knowing that so many young women benefitted from the skin cancer screenings and sun safety education. 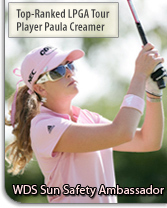 Go team DC! What a day! 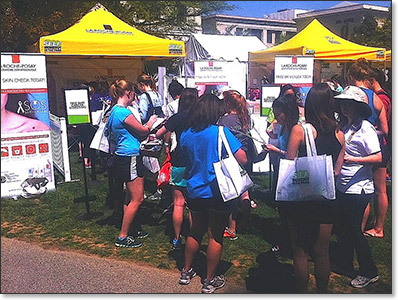 So great to see so many young women committed to their health and interested in learning more about their skin. Drs. 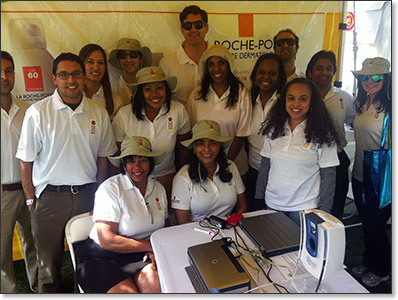 Valerie Callender (left) and Diane Ford, along with the other screening physicians, residents, students and La Roche-Posay volunteers enjoyed talking to these university women about skin health and sun protection. 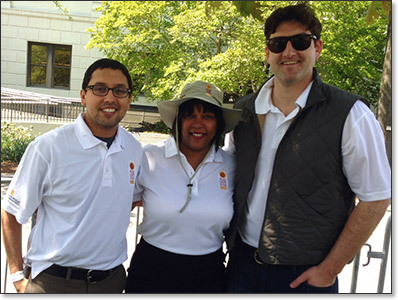 Did you know that nearly 10% of the membership of the WDS is male!?! 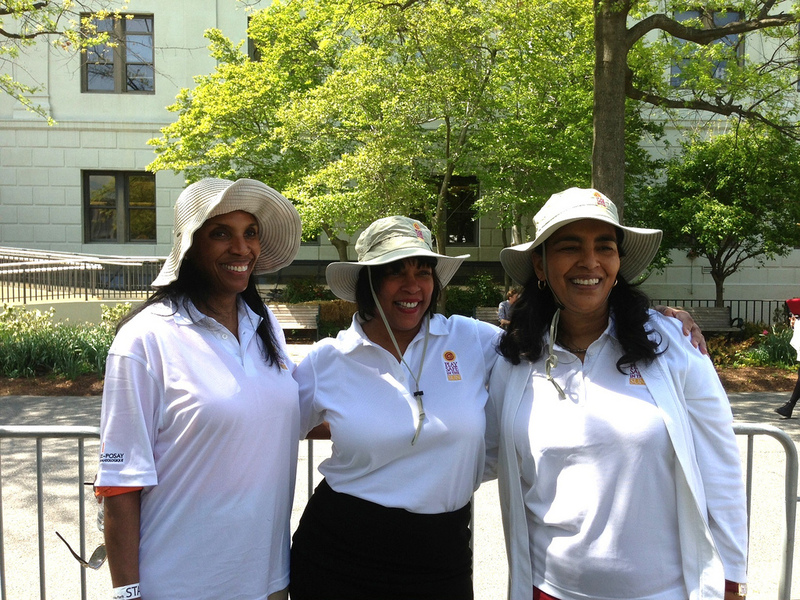 Flanking the WDS President-elect, Valerie Callender, MD, are Drs. Saurabh Singh (left) and Terrence Keaney. 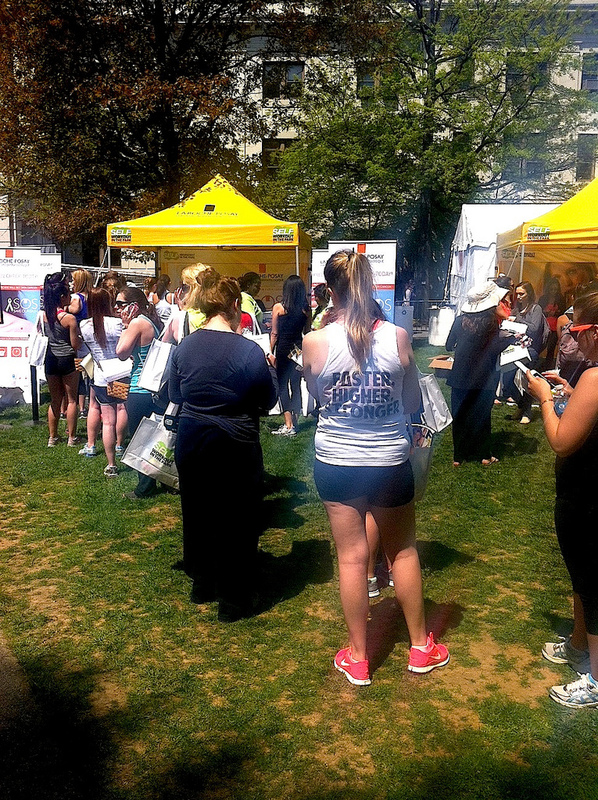 Many women had specific moles and spots that there were particularly concerned about, so they were very appreciative of the free skin cancer screenings. One said afterwards, that she was going to go call her mom and tell her that it's OK! Terrific teamwork by Drs. 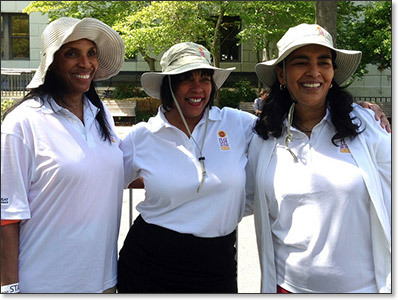 Diane Ford (left) and event co-chairs Valerie Callender and Lynn McKinley-Grant. The WDS dermatologist volunteers were busy all day with the skin cancer screenings, reaching 132 free skin screenings in four hours! What an incredible team of support! 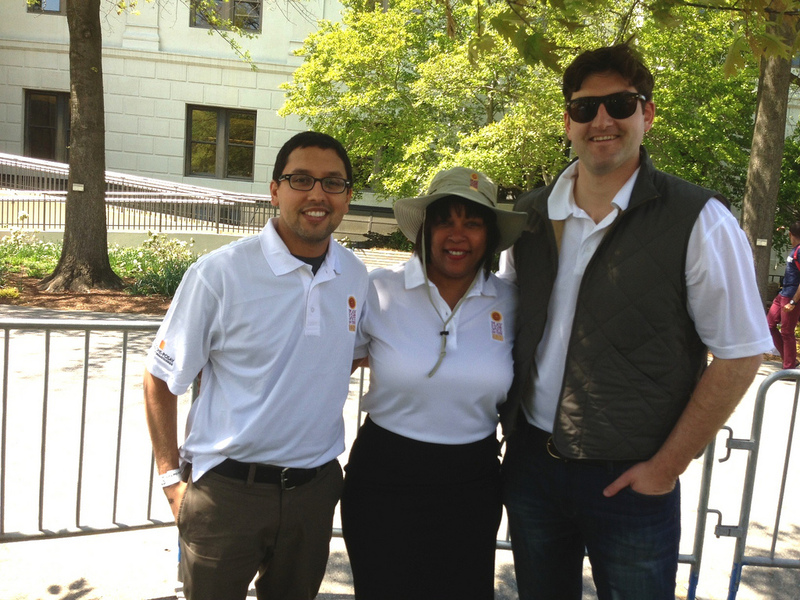 Event chairs, Drs. 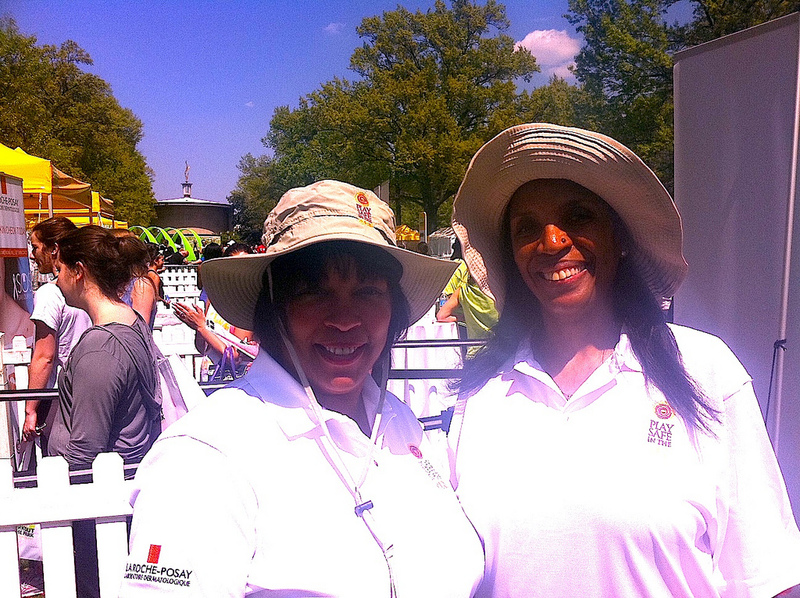 Valerie Callender and Lynn McKinley-Grant, shown seated. 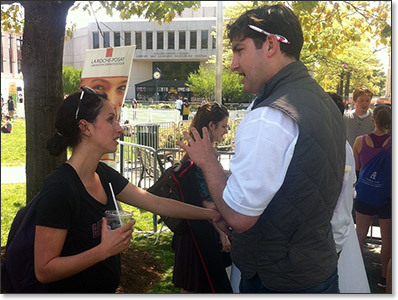 These revealing photos showed the young women all the sun damage underneath the surface of the skin and gave the residents an opportunity to discuss proper sun protection techniques. 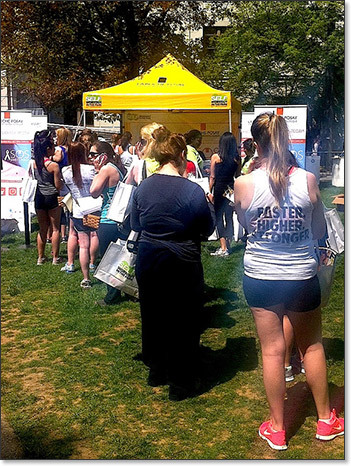 Eager crowds of college students lined up for the free skin cancer screenings and sun damage assessments. 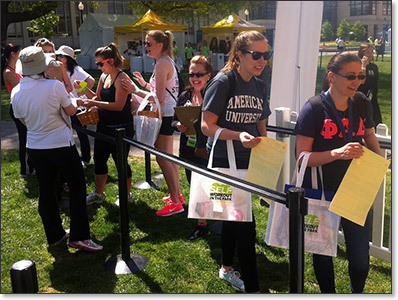 A fantastic DC-area team of WDS volunteers reached out to hundreds of young women from American University at the SELF Workout in the Quad on April 27 in Washington, DC. Co-chaired by Drs. 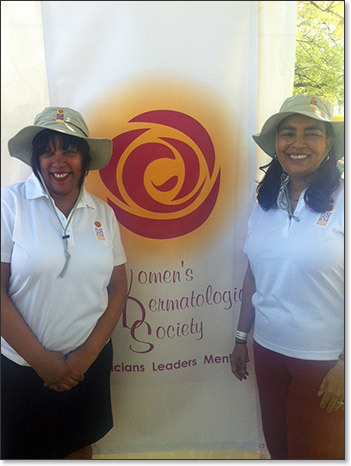 Valerie Callender and Lynn McKinley-Grant, this bustling outreach offered 132 free skin cancer screenings to the college students and more than 250 sun damage assessments.